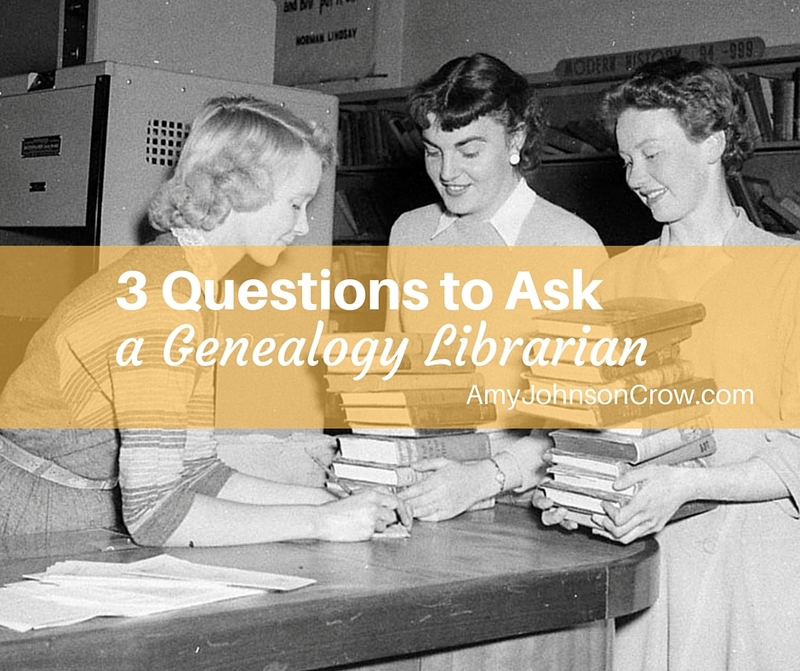 Oh, that every record we use would be filled to the brim with details about our ancestors. Unfortunately, not every record is rich in detail. But just because it's a skimpy record doesn't mean we can't use it. 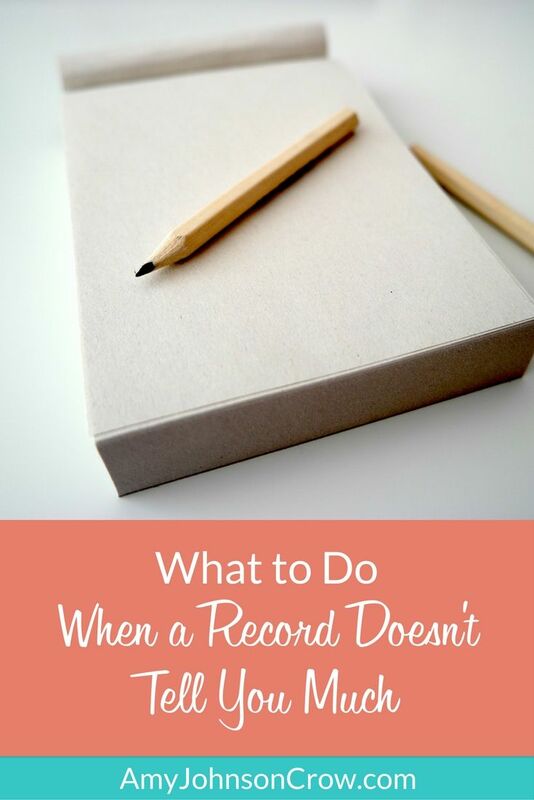 Here's what to do when a record doesn't tell you very much. 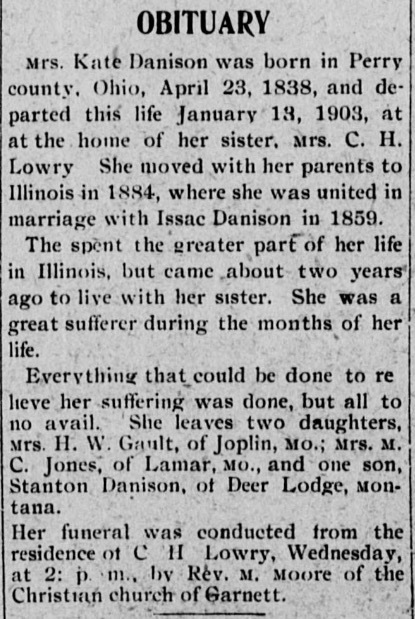 Take a look at this obituary for Mrs. Kate Danison from the Kansas Agitator, 16 January 1903. Mrs. Kate Danison obituary, (Garrett, KS) Kansas Agitator, 16 January 1903, p. 5. 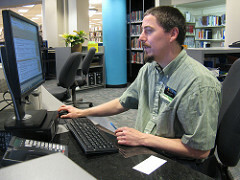 Image from Chronicling America, Library of Congress. Did you spot the red flag? 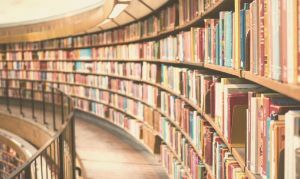 "She moved with her parents to Illinois in 1884, ﻿where﻿ she was united in marriage with Isaac Danison in 1859." Something is amiss. It isn't typical to move with your parents from Ohio to Illinois in 1884, but have gotten married in Illinois in 1859. Yes, it is possible for Kate to have gone from Ohio to Illinois and married Isaac Danison there in 1859, then moved back to Ohio, then returned to Illinois with her parents in 1884... but that doesn't seem likely. See what I mean about a red flag? it's telling us that we need to stop and look around. 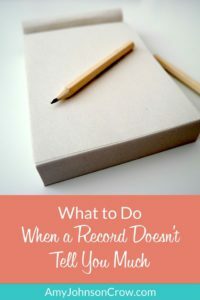 We need to find other records to get this sorted out. Is the year she moved to Illinois wrong? Did she actually move to Illinois with her husband and not her parents? 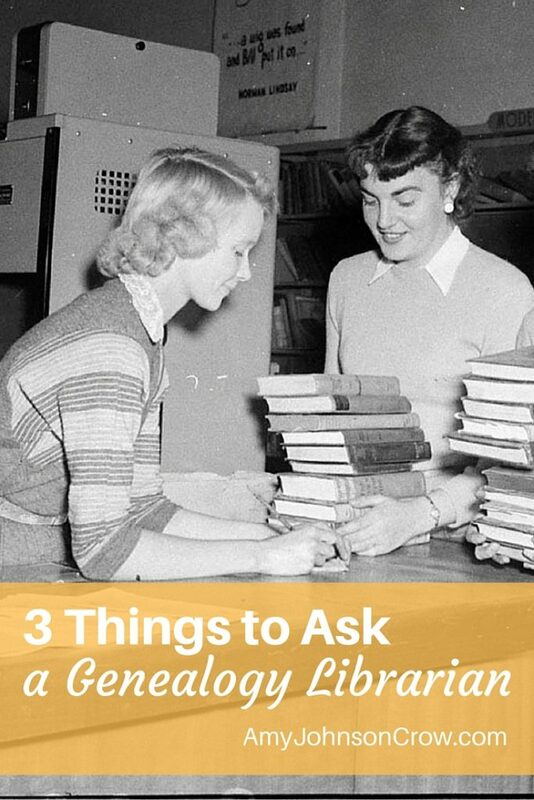 We can make some guesses, but until we do some more research, we won't know. 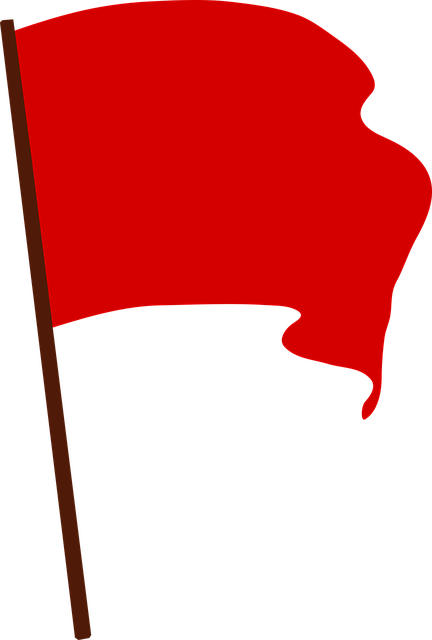 Why Do We Miss the Red Flags? 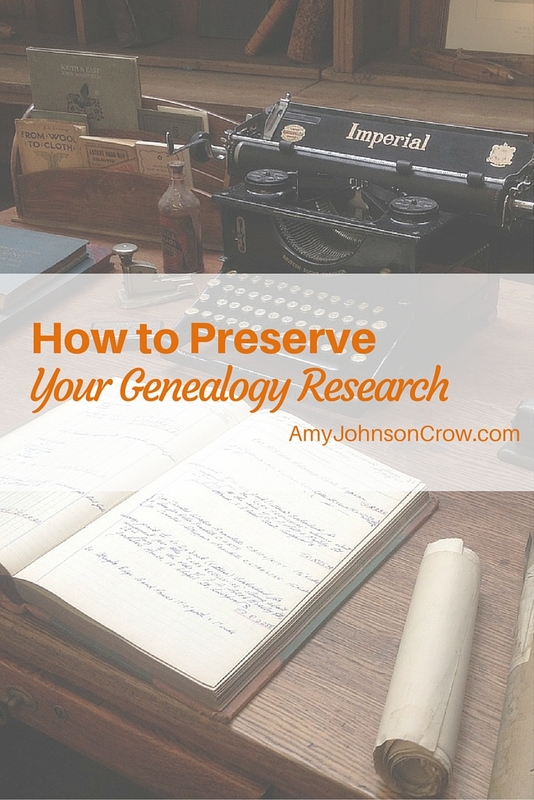 It is completely natural to want to get to the facts and add them to what we know about that ancestor. (That's what we do!) 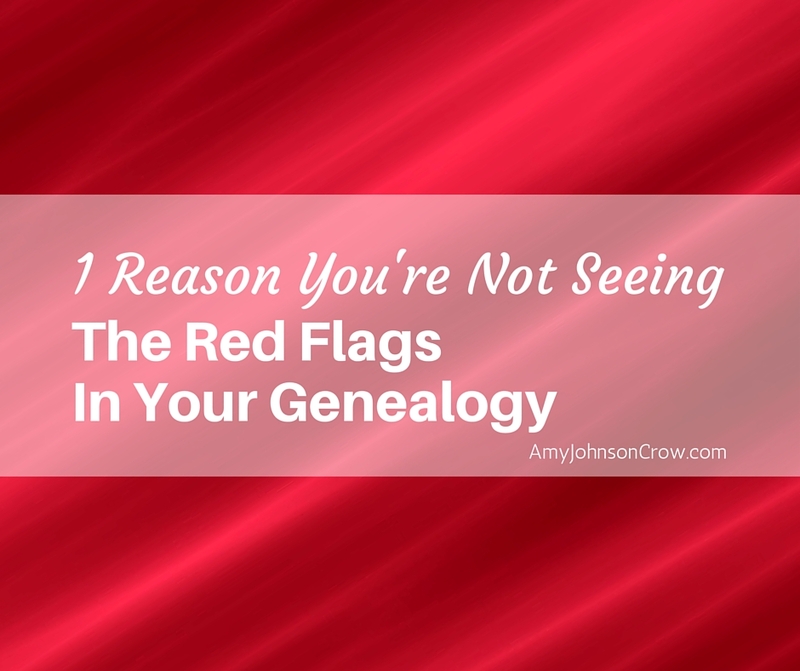 We miss the red flags in genealogy when we don't look at the "facts" in relation to each other. In isolation, any of the bullet points I listed from Kate Danison's obituary are plausible. It's when we put them together that we see that something isn't quite right. Don't look at "facts" in isolation. Compare them to each other. Consider if it's plausible for all of them to be true. If not, do like they do in football when the red flag is thrown -- stop what you're doing, go to the replay booth, and have another look. Get your FREE copy of "5 More Reasons You Don't See Red Flags... and What You Can Do About It"